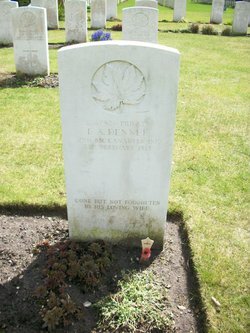 Ernest Arthur Dennee died on this day in 1918 of wounds received while he was serving in France with the 2nd Battalion. He died in Queen Mary’s Hospital in Stratford, London and was buried in Brookwood Military Cemetery, Surrey, England. The headstone is inscribed “Gone but not forgotten by his loving wife”. 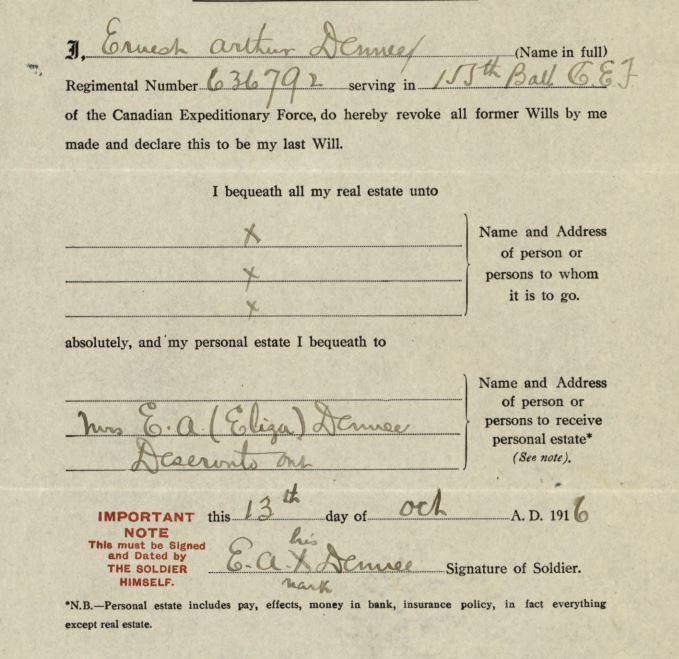 Eliza was living in Deseronto (where she had spent much of her life) when Ernest made his will. 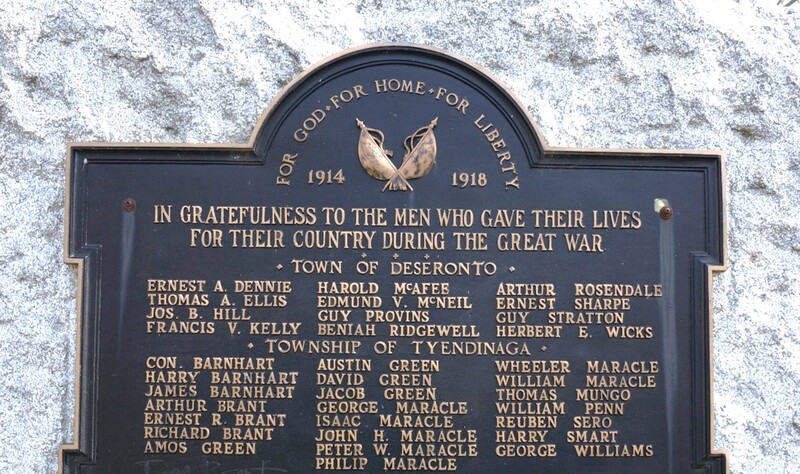 This explains the presence of Ernest’s name on the Deseronto war memorial, even though Ernest himself seems to have had no direct connection with the town.